It's Just Mobolaji | Music & Entertainment: Goldfrapp Announce UK Tour For March-April 2014! Goldfrapp Announce UK Tour For March-April 2014! Following their sold-out and critically acclaimed European tour Goldfrapp announce a UK tour for March and April 2014. The band’s recent dates, which included a sell out tour of major European cities, including a show at the Hammersmith Odeon in London, drew a series of fantastic reviews with the Evening Standard calling the show “thrilling” and The Guardian hailing the band’s performance as “majestic”. 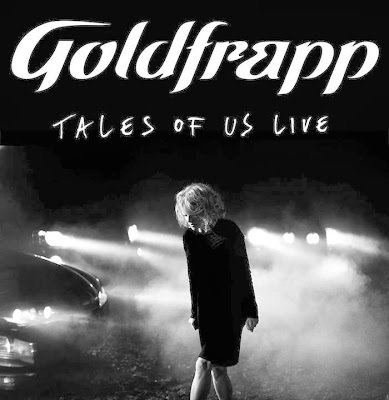 2013 has seen Goldfrapp play a series of highly diverse shows around the world in support of their latest Top 5 album ‘Tales Of Us’, from the Manchester International Festival to headlining Lovebox. These performances have cemented the band’s reputation as one of the most enthralling and inventive live performers around.